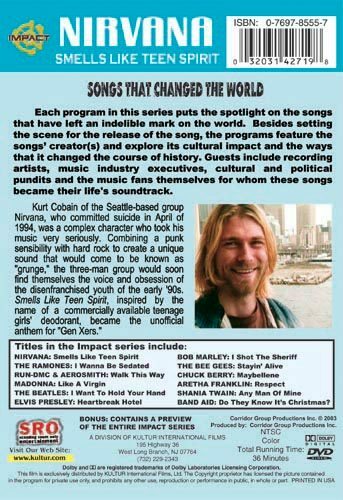 From the Impact Series, Songs That Changed The World - featuring Nirvana: Smells Like Teen Spirit became the unofficial anthem for "Gen Xers." 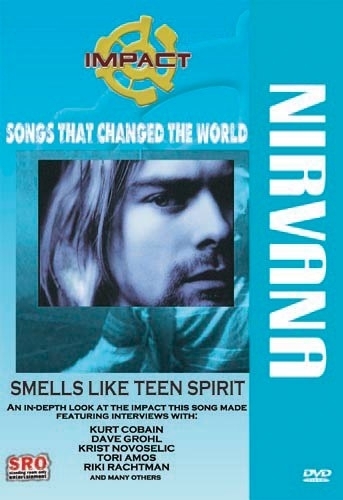 Kurt Cobain of the Seattle-based group was a complex character who took his music very seriously. Combining a punk sensibility with hard rock to create a unique sound that would come to be known as "grunge", the three-man group would soon find themselves the voice and obsession of the disenfranchised youth of the early '90s that the media would soon dub "Generation X."